The traffic police on Saturday issued travel advisory for movement of vehicles on the highway. 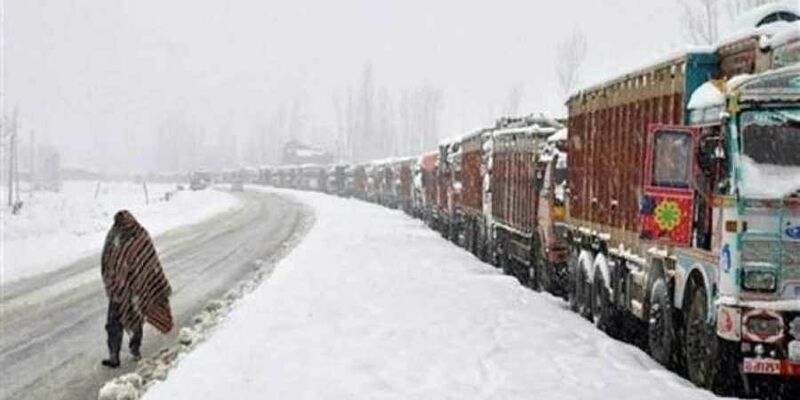 SRINAGAR: The ban on civilian traffic on strategic Srinagar-Jammu national highway will come into effect from Sunday and security officials said no civilian traffic would be allowed on 270-kms Srinagar- Jammu national highway to ensure safe and smooth passage of security convoys. “No movement of any type of public vehicle shall be allowed to move on the highway,” it read. The government recently banned civil traffic on highway for two days in a week (Sunday and Wednesday) till May 31 for smooth and safe passage of security convoys, a move that evoked criticism. Inspector General (IG) CRPF, Ravideep Sahi said the CRPF would be coordinating with Jammu and Kashmir Police and traffic police to enforce the ban. “The Road Opening Parties of security forces will remain deployed on the highway. The road linking highway with different areas will also be closed.” Sahi said no civilian movement except in case of medical emergencies and schools would be allowed.